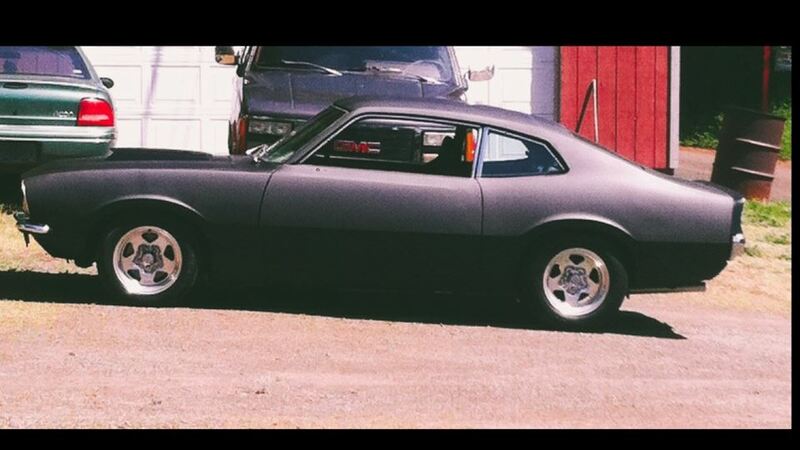 Vote for me for car of the day! This car was actually given to me out of field when I was 13 years old in 2007 didn't drive it until 2011. since then Ive been slowly working on it and learning about cars. I didn't even know what a Maverick was when i got it but I fell in love with how different they are and the fact you don't see them at every corner or car show.The car is a 1970 swapped out with a 302, shaved handles (which I'm putting handles back on) shaved marker lights,quarter window trim, and antenna hole. I'll try to find some pictures of it when i got it. gonna order some new seats tomorrow then eventually LED sequential tail lights! A little throwback around the time I first got the car. Took a lot to get it where it is and still a lot more to come! 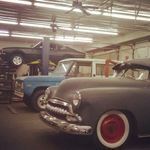 Little feature from Hot rods and muscle cars a while back. New exhaust I built. 2 1/2 inch mandrel bent piping, 2 flowmaster 40's with headmen headers. car sounds GREAT! This was just a few days after the 302 swap, ran great till a valve spring broke. My first time doing body work a long time ago. Learned A lot about it from this on project (Yes I replaces the inner too.